Calyx and corolla, 5-divided. 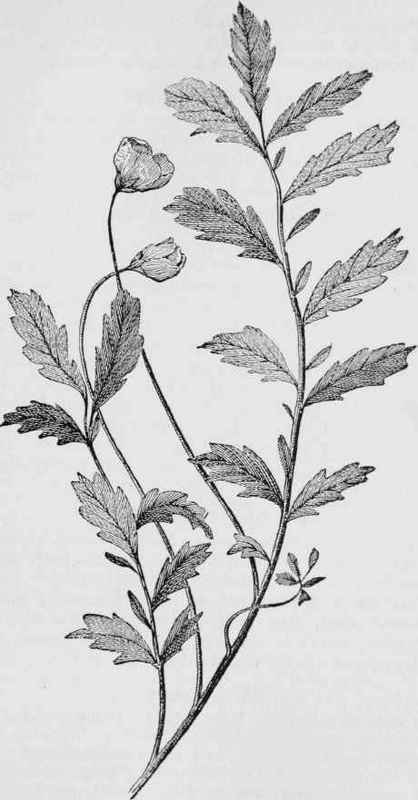 5 bractlets, often cut, lie between the sepals. Leaves, all from the root, pinnate, with from 7 to 21 leaflets and smaller ones in between, dark green above, silky white beneath. 2 or 3 feet long. June to August.